Over the past few decades, strategic outsourcing has established itself as a powerful force in North American business. Almost every business element from human resources to accounting to information technology to manufacturing is a candidate for strategic outsourcing. 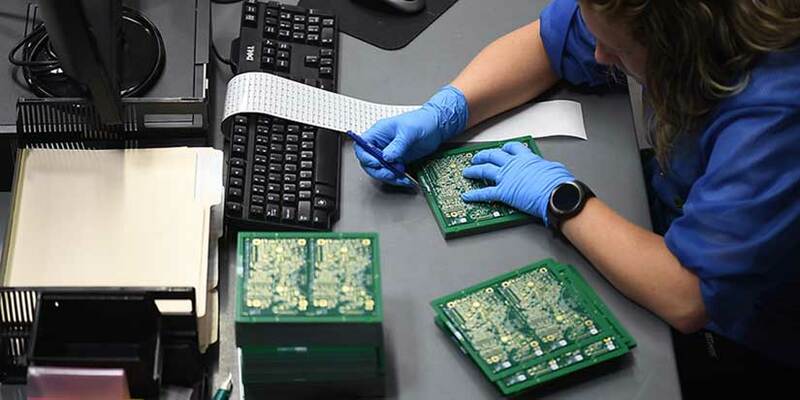 The electronics manufacturing services industry (EMS) has been the prime beneficiary of the leap to strategic outsourcing. EMS has jumped from board stuffers (consigned parts) to contract manufacturers (buying parts and assembling them). Today, many EMS companies offer an array of services, including product design and build. However, the EMS industry does face some issues and challenges. Let’s first discuss, shrinking operating margins. As global competition and new advances drive prices down, companies must do whatever is necessary to survive, including constantly becoming and remaining more cost-efficient in order to stay profitable. Another challenge for EMS firms is investment in the operations and management of global manufacturing processes. This investment comes with inherent risks. OEMs use this capacity and operations on an as-needed basis, so the risk scale seems heavier on the EMS side. EMS companies must balance internal and external resources yet remain within international standards. Traceability and compliance issues are adding to operational burdens. Components and sub-components may travel across several continents before they arrive at the end-consumer. Over the years, very few new sources have been added to the ways EMS companies generate income. 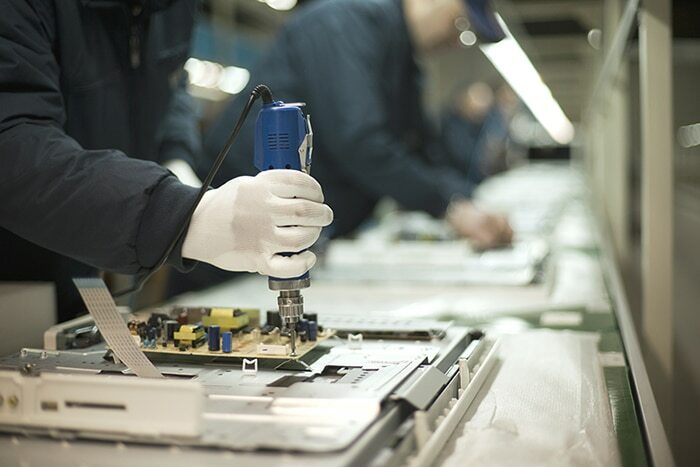 The issue here is the constant cost reductions OEMs demand, negatively impacting EMS providers’ profit margins within certain business lines. The trend toward short product lifecycles is critically affecting the EMS industry. Consumer preferences change day-to-day, requiring EMS companies to maintain fast and effective New Product Introduction processes. The product needs to launch on time, at the right volume, price and quality. Closed-loop communication among the various segments—sales, manufacturing, and engineering—is necessary. Closed-loop communication ensures that the sender knows the receiver has heard and understands the instructions. New regulations and standards require companies to become more accountable for Corporate Social Responsibility in decisions. The new hot topic for the day is Electronic Waste. E-waste describes discarded electrical or electronic devices. Used electronics not destined for reuse, resale, salvage, recycling or disposal are also considered as e-waste. Companies are being forced to take the entire product lifecycle into account. Uncertain demand for products closely affects the EMS provider. Companies must deal with a volatile economy and variable demand resulting in fluctuations in production. Consumers want what they want when they want it, spiking demand for a certain product. In today’s business world, a company must be resourceful in lean times and ready to strike when the iron is hot. Inventory must keep up with demand. Location, location, you hear in buying and selling real estate. For the EMS firm, too, location is key to profitability, supply chains, scheduling, staffing, and business success. Winning a contract on a Request for Proposal may depend on the location of the plant. Since EMS companies are at the mercy of the OEMs with regard to relocation, location is a very important consideration and a lasting one. EMS providers’ targeting of the automotive, medical device, and industrial product sectors has been something of a failure as is shown by these statistics: 12% in 2007, increasing to 15% by 2012. Rapid growth itself can cause growing pains. The EMS industry is strong and can survive its problems. As a stable EMS provider, SMC has seen these issues and responded to the challenges. 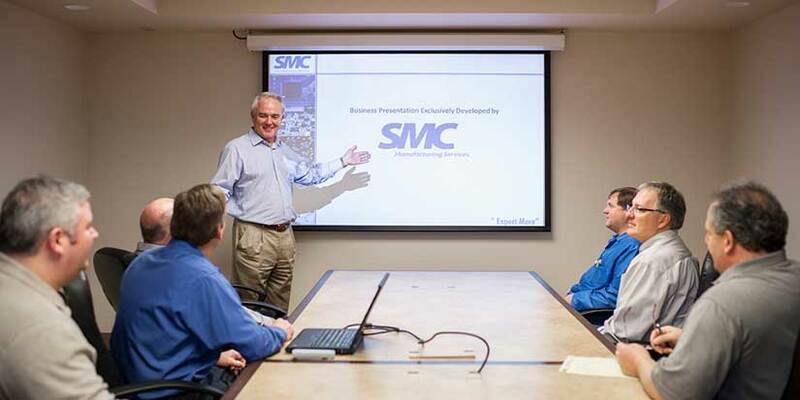 By recruiting talented employees with the right expertise, choosing the best equipment, installing all of the necessary Engineering Services, and utilizing sound business principles, SMC is a thriving corporation. Take a look around our website for our story and our capabilities. We would appreciate the opportunity to talk with you about your EMS needs.